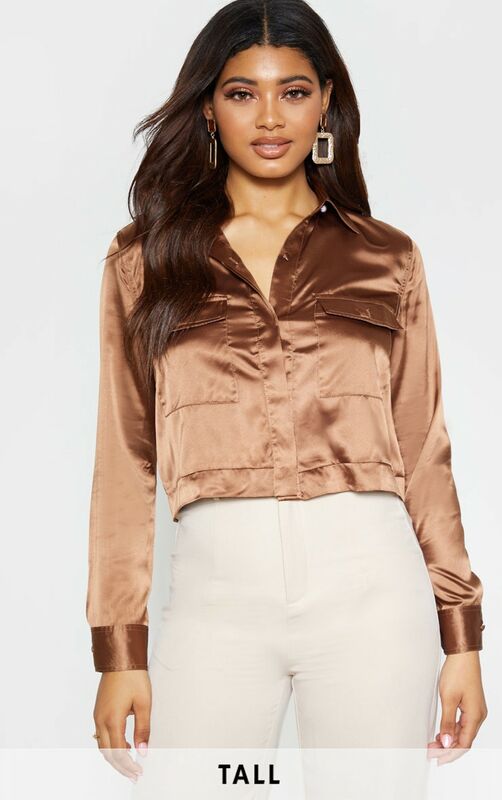 Add some luxe vibes to your look with this shirt. 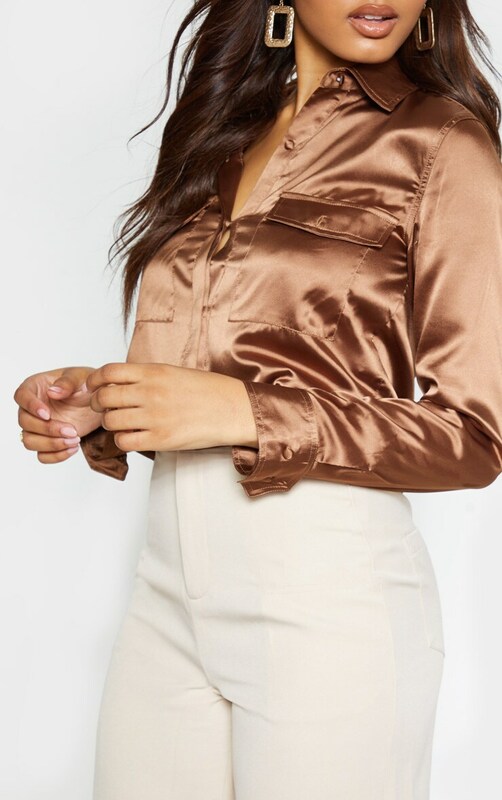 Featuring a chocolate brown satin material with pocket detailing, button fastenings and a cropped length. 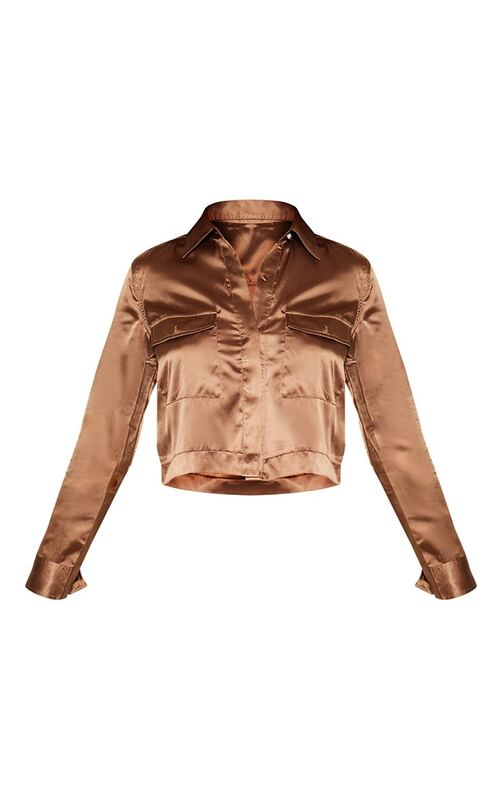 Team this with wide-leg bottoms and barely-there heels for day drinks with the dolls.